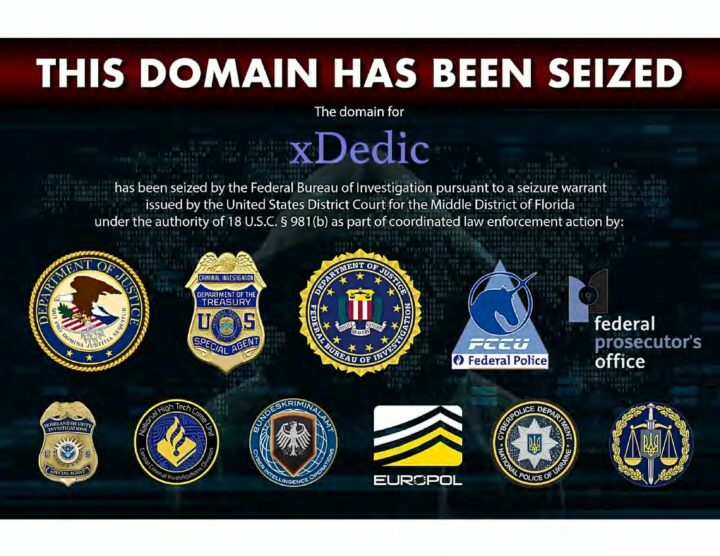 Authorities shutdown the XDedic Marketplace, after staying in operation for years selling hacked servers. The black market website known as a “hacker’s dream” sold compromised computer credentials and personally identifiable information of U.S citizens to people around the globe. The investigation was led by the FBI and IRS, alongside U.S Immigration and Customs Enforcement’s Homeland Investigations and the Florida Department of Law Enforcement. Further, the international enforcement operation involved assistance from Belgium, Ukraine, and the European law enforcement agency Europol. According to authorities, the website made more than $68 million in fraud, since it first began its operation in 2014. The site first became widely known after Kaspersky published a report in 2016. The site shutdown intermittently after the report, but reappeared on the Tor network. The illicit site was thought to have been run by a Russian hacker group. At the time buyers had options to purchase more than 70,000 hacked servers for cheap prices. xDedic operators, maintained servers across the globe selling compromised computers. Additionally, operators used bitcoin to mask locations of servers and the names of administrators, buyers, and sellers maintaining anonymity. Buyers searched for the site according to their desired price, operating system, and geographic location. During the operation multiple IT systems were found. Three Ukrainian suspects were also arrested. If you believe your organization was compromised contact LIFARS immediately. Join our newsletter Today! Keep up to date with the latest news and events delivered to your inbox.